View cart “Los Médicos Muertos No Mienten” has been added to your cart. 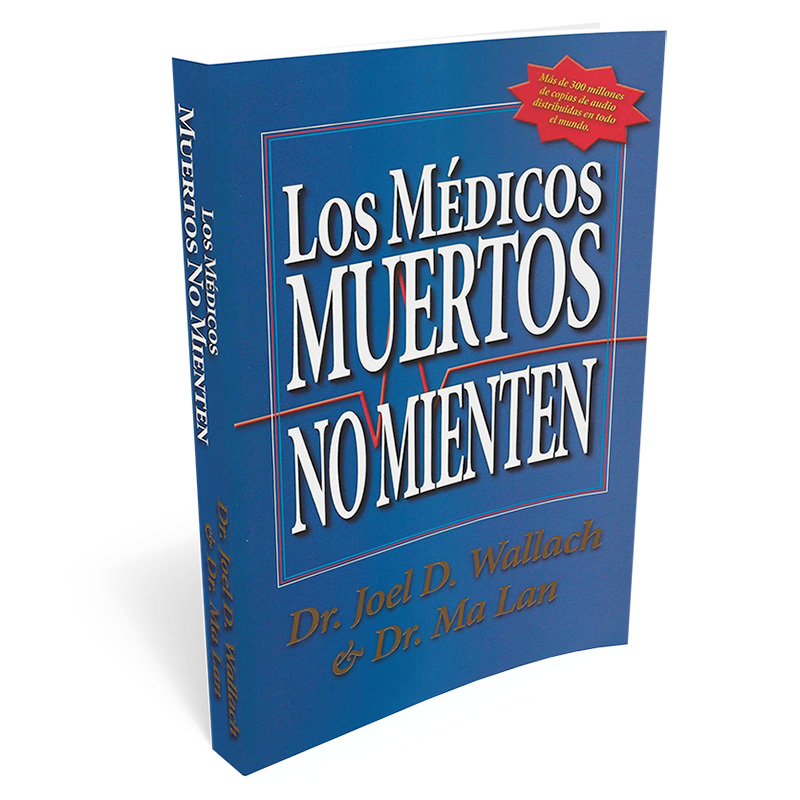 “Los Médicos Muertos No Mienten” alternative health book written by Dr. Joel Wallach is. Today, the high costs of health care are forcing people to take another look at a conventional treatment, and this book explains how you can do it. Get valuable information that can eliminate expensive medical expenses and allow you to live a happier and healthier life. Learn how to prevent and reverse 412 diseases with vitamins, minerals, trace elements and hierbas. Do not wait twenty years of expensive studies to learn how to rescue his health. You will learn that the 90 nutrients your body needs each day for optimal health and longevity of human beings are not always present. You will have a clear understanding of the importance of 90 essential nutrients, and how to positively affect your body and your health. Dr. Wallach received his degree in Agricultural Sciences (BS) University of Missouri in 1962 with a specialization in Livestock (Nutrition) and a minor in Field Crops and Soils In 1964 he received his doctorate in Veterinary Medicine (DVM), also University of Missouri. From 1965 to 1968, Dr. Wallach completed a postdoctoral fellowship studies at The Center for the Biology of Natural Systems at Washington University in St. Louis, Missouri. In 1982 he earned a doctorate in Natural Medicine (ND) National College of Naturopathic Medicine in Portland, Oregon. Dr. Ma Lan was educated in the People’s Republic of China. Dr. Ma Lan received his MD from the Medical University of Beijing, had his residency at the Hospital of the People, Beijing and was personal surgeon at the Hospital of Guangzhou Air Force. (Also known as ” “Los Médicos Muertos No Mienten””).